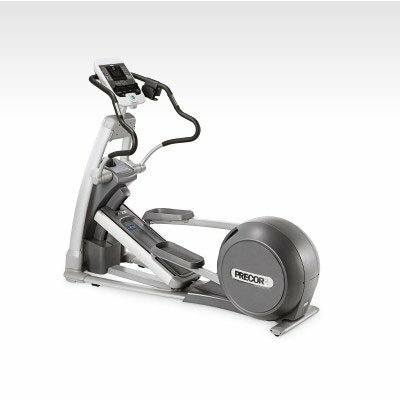 You are looking at the Precor EFX 546i experience series elliptical. The precor is a super efficient, low impact workout that is easy on your joints and helps you burn calories faster. 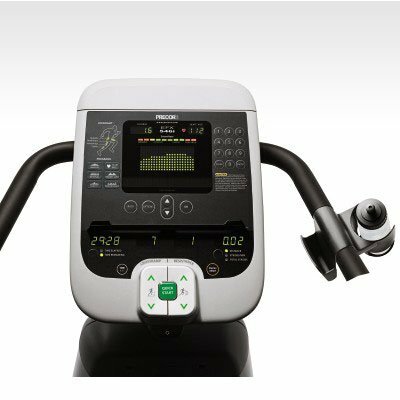 It features a built-in heart rate monitor into the handles and the new experience style display. Its tactile paddles control CrossRamp and resistance, confirming user input with a satisfying click. The multiple feedback options make it easy to monitor workouts.